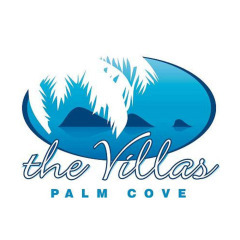 The Villas Palm Cove is an ideal family / couples accommodation.All holiday villas are all equiped with everything you need for a long or short stay. Comprising of 1, 2, 3 and 4 bedroom villas, most of these have their own private pools. There is also a resort pool and spa in the centre of the resort with a undercover BBQ. The Villas Palm Cove is in a quiet location, just a short stroll to the beach, restaurant and bars.